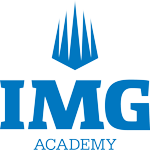 In order to compete in the IMG Nationals, teams must earn a bid through competition at any IMG Regional Qualifier held throughout the United States in Summer and early Fall 2018. IMG Nationals also awards a limited number of At-Large bids. These bids are offered at the sole discretion of the IMG Nationals Tournament Director, although priority is given to all bids earned at the IMG Regional Qualifiers. To inquire about at-large bids, please contact Mitch Andress at mitchell.andress@img.com or 941-752-2510 for more information and eligibility. The tournament is organized to compete under the 2018 NFHS rulebook. All referee calls and decisions are based on these rules. Once a bid has been offered and accepted, each team representative (coach, administrator, etc.) will be required to register the team. Team entry fee is $1500. When registering, the team may pay the entire fee at the time of registration or elect to secure the team's spot with a $350 deposit. Team registration and initial deposit are due no later than September 1. The remaining balance of $1050 is due no later than October 9. Following the registration, each player on the team roster is required to log on and complete the Player Registration section. Players will not be permitted to compete at the IMG Nationals without completing the Player Registration. The $350 team deposit is non-refundable. No refunds for team entry fees will be made after October 9. Before October 9 any payment over and beyond the deposit will be refunded to a team. All tournament withdrawals must be made in writing. No player may be rostered on or compete on more than one team during the tournament. Although the tournament is organized to compete under the 2018 NFHS rulebook, US Lacrosse Age Guidelines will be used for the U13 and U15 divisions. Due to timing of the event, the following date guidelines are in place to enable U13 and U15 teams that qualify during the summer months the opportunity to compete. We do not check birth certificates to verify age eligibility but instead rely on the Honor Code which respects the traditions and integrity of our sport. Eligibility rules for participation in the IMG Nationals are intended to reinforce the honor, spirit and traditions of the sport of lacrosse; provide a safe, competitive environment for players; and offer an enjoyable fan experience for spectators. We apply and adhere to the competitive principles of US Lacrosse, the governing body for the sport in the United States. We seek to synchronize our Rules & Guidelines with US Lacrosse wherever and whenever possible. However, we reserve the right to set, establish and promulgate rules and requirements which ensure the most fair, equitable, and safe competitive environment possible. No more than 25 players may be on a team roster. Once rosters have been submitted and a player has been assigned to a particular team, that player may only participate on that team at the IMG Nationals. Player participating that are too old for the respective division according to the eligibility guidelines specified above. Jersey numbers must be visible and should be centered on the front and back. Jersey, pinnie, or an under jersey should completely cover the shoulder pads. Teams are encouraged to bring a set of pinnies if they do not have home and away jerseys. The Home team listed on the official schedule will traditionally wear their white (or light) jersey if they have two (2) different colored jerseys. The game head official has final decision if an alternative jersey is needed, not the head coach. No coach-requested Crosse Inspections (“Stick Checks”). Crosse Inspections may be conducted and enforced at the officials’ discretion. No more than four (4) coaches are allowed on the team sidelines. All Coaches must be identified during the team registration process as a coach of record with the team. Parents may not be co-located at or near the players bench regardless of issue, task, or circumstance. All spectators must set-up, observe, or otherwise congregate on the opposite sideline of the bench during all games. All fields will be regulation size. Any modification(s) to regular field size will be determined in advance of the tournament event and communicated as appropriate to participants. Games will be scheduled in 60 minute blocks, which will permit complete game competition, efficient movement from field-to-field between games, and the handling of any potential procedural game delays. Games ending in a tie during pool play will be decided by 3v3 plus goalie "Braveheart". Semi-final and championship games will be settled by sudden-death overtime play. Bravehearts must commence within 2 minutes of the end of regulation play. Referees keep the official score. Referee score reporting is final. Penalty time stops during timeouts. Protests of any kind are not permitted or considered. The IMG Nationals Tournament Director's decisions are final and binding. Fighting, taunting, abusive/foul language and/or other unsportsmanlike conduct by players, coaches, spectators, etc. will not be tolerated at the IMG Nationals. Any player, coach or spectator that is involved in a fight or other types of unsportsmanlike conduct will be immediately ejected from the game and the remainder of the tournament. Please remember that tone, intent, and body language can all contribute to unsportsmanlike conduct. All ejected person(s) will be required to immediately leave the grounds of the IMG Academy campus/facility. If the ejected person refuses to leave the field of play or continues to cause a disturbance that prohibits the game from proceeding, the IMG Nationals Tournament Director reserves the right to contact local law enforcement for assistance. In the case of a fight during a game, on or off the field, IMG Nationals staff will defer to game officials to determine player and/or spectator involvement and the determination of punitive actions. IMG Nationals staff will only consult tournament officials (game official, scorer’s table staff, or IMG Nationals staff) in making determinations. Any player who accumulates 4 personal fouls or 5 minutes in personal foul penalty time shall be disqualified from the game. Officials will have authority to terminate any game in response to flagrant acts of unsportsmanlike behavior including excessively rough play or the encouragement of excessively rough play by coaches,athletes,spectators, or fans. A game termination, although considered the last resort in punitive action, will be called swiftly in the spirit of preserving the integrity of the sport and the safety and security of the players. Players, coaches, or other team representatives, including spectators, may be ejected from a game, or the tournament, for inappropriate / unsportsmanlike conduct. If a player, coach, or team representative is ejected from a game, that person is also suspended from the team's next scheduled game. If a goalie is ejected from a game, the game clock will be stopped to allow a replacement goalie time to properly suit up. If a player, coach, or team representative is ejected for fighting, they will be immediately ejected from the entire tournament and as indicated above. The IMG Nationals Tournament Director reserves the right to cancel, shorten, or reschedule tournament games due to inclement weather, poor field conditions, or player/spectator safety concerns and considerations. No refunds will be granted if these actions are necessary. The Tournament Director and his representatives will communicate game changes. Schedule changes will be available at the Main Information Tent. It is the expectation of the IMG Nationals that all clubs, teams and players competing in the tournament fully comply with the Rules & Guidelines as outlined above. Any effort to circumvent the spirit and/or intent of the Rules & Guidelines may result in the disqualification of the affected club, team, and/or player(s) from any current or future IMG Nationals and/or regional qualifying event(s). Special attention will be paid to any infractions / violations of the Eligibiliy for Particpation requirements. The Administrator and/or Coach of each club / team, by registering their respective team(s) for the tournament, certifies that the credentials of each player on the roster complies with age, roster, and other requirements as it relates to player assignments and that each player has electronically signed the waiver for each event. Coaches/Administrators may be asked by Tournament officials to further certify and/or verify player roster assignments and age compliance at any time prior to or during the event. Violations of the Eligibility for Participation requirements will not be tolerated. Tournament fees will not be refunded to any club / team /player disqualified from the event. The IMG Nationals Tournament Directors reserves the right render any interpretation, make any decision, or take any action it deems is in the best interests of the tournament, and its participating players and teams. ©2019 IMG Nationals / SportsEngine. All Rights Reserved.